Your content is what defines you. It tells your story and sets you apart. Don’t trust it to just anyone. Our team has been creating high-quality content for a variety of industries since 2006. Let us help you get noticed. The purpose of brand development is to give your organization an identity and a personality, which we use to create a tone and voice for your content. Brand development also gives purpose and meaning to the content we create and distribute for you. Content development is part art, part science. 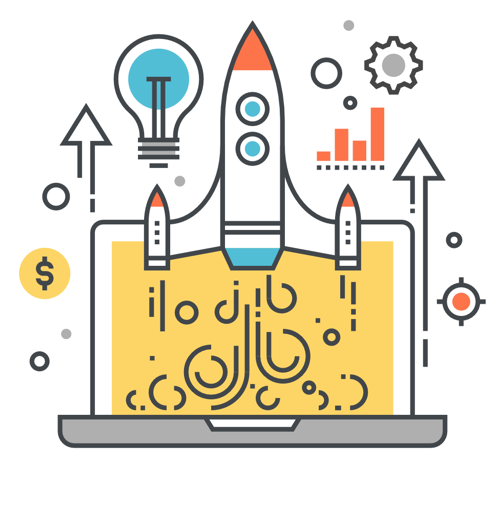 When we create your content, we make sure it’s compelling, engaging, and optimized for search engines. 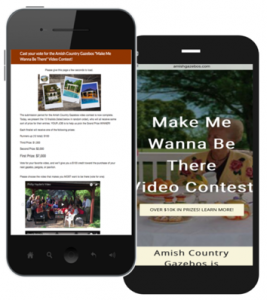 The owner of a gazebo business approached us about finding the right kind of videos to fill a marketing gap. He didn’t want highly produced videos, because he already had those and their marketing value was limited. What he needed were videos that showcased his products in a variety of environments, featuring real people frolicking in his gazebos, enjoying his pergolas, and partying in his pavilions. After listening to his problem, we developed a plan for a Facebook-based video contest. The goal was to get his existing customers and others like them to join in on the fun by submitting high quality videos that would prompt anyone watching to buy one of his products. We knew Facebook was one of the keys to a successful contest, but we also knew it wasn’t the only key. By combining high-quality content marketing with Facebook advertising and targeting, we were able to execute a campaign to meet his needs. Over a three-month period, we helped our client obtain 98 videos, 70 of which had a high marketing value. The campaign delivered over a million ad impressions and reached tens of thousands of former customers and prospects. For several months, our client’s gazebo business was in front of just about anyone who had interest in gazebos, including those who owned one, were looking to accessorize one, or were interested in buying one. The buzz generated by the campaign was great for the gazebo business, as well. Videos were remarked upon, shared between friends, and reacted to in high numbers. The engagement helped keep gazebos—specifically, our client’s gazebos—top of mind for existing and future customers. Finally, the ads and engagement led to a deluge of praise for our client’s products from his satisfied customers. The videos themselves served as visual and audio testimonials from brand evangelists who couldn’t say enough wonderful things about our client’s gazebos, pergolas, and pavilions. Insurance agencies in Long Island, NY and Philadelphia, PA were looking to dip their toes into the Internet to see what kind of leads they could generate. Independent agencies like these often struggle to bring in online leads because they are drowned out by the insurance carriers they represent. Big carriers have bigger budgets, better marketing, and a wider audience, even though independent broker/agents can provide better coverage options, more personal service, and can work as an ally for their customers throughout the claims process. As a high-end insurer, however, our client needed leads from their target audience—high net worth individuals with disposal income looking to insure valuable commodities. We began work on the projects in mid-summer. With the Christmas holiday looming and the hurricane season upon us, we developed two eBooks. The first was geared toward those who might be impacted by hurricane weather—those with property on the New York and New Jersey coasts, as well as those with winter homes in Puerto Rico and elsewhere. The second eBook was geared toward those who might be purchasing a high-value gift for a loved one—a car, a yacht, or a home. 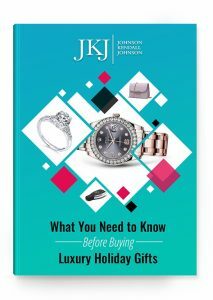 The eBooks, “Protecting Your Wealth: How to Guard Your Assets During a Natural Disaster” and “What You Need to Know Before Buying Luxury Holiday Gifts” were hidden behind a form on a landing page that required visitors to enter a name and email address in order to download them. We then ran Facebook ads to audiences in the target demographics and tracked our performance. In just three weeks, we were able to generate more than 75 pre-qualified leads for our clients between the two eBooks. During this same period, the reach and engagement of their Facebook pages tripled on average. The ads we ran saw a click-through rate (CTR) of 2.75%, which is almost unheard of in the world of Facebook advertising. The average Facebook CTR is approximately 0.90% across all industries.